(NaturalNews) The US Department of Agriculture (USDA) recently announced that it will not regulate the entire forthcoming generation of genetically modified organisms (GMOs), allowing new genetically engineered (GE) foods to enter the food supply without any testing or permitting process. This "free pass" by the USDA will also allow these new GMOs to be legally marketed as "non-GMO," including in states such as Vermont that have passed GMO labeling laws. The technologies in question are part of a suite of techniques known (inaccurately) as "gene editing." And foods made with "gene edited" ingredients are already being sold to consumers. Gene editing consists of using enzymes to splice out a strand of DNA at a targeted location, combined with another technique (such as insertion of a "DNA template") to guide the DNA's natural repair process to insert a preferred gene. Gene editing techniques include clustered regularly interspaced short palindromic repeat (CRISPR), zinc finger nucleases (ZFN), transcription activator-like effector nucleases (TALENs) and oligonucleotide directed mutagenesis (ODM). The latter technique consists of injecting synthetic DNA into cells, thereby triggering cells to mutate and mimic the synthetic DNA. What none of these techniques involves is the old method of physically inserting a strand of DNA from a separate species. Thus, organisms produced by gene editing could not be accurately called "transgenic." Yet, to deny that they are genetically modified flies in the face of both the plain and scientific meanings of the terms GE and GMO – and, notably, even the legal definitions of the European Union. Nevertheless, the USDA recently announced that a new slow-browning variety of mushroom, produced via CRISPR, would not be regulated as a GMO, and could be sold to consumers without further testing or approval. The implications of this are far-reaching, and not just because of the ongoing battle over whether a voluntary federal labeling standard will preempt laws in states such as Vermont. Almost 17 percent of the new food products sold in the United States in 2015 were labeled non-GMO, compared with only 3 percent just four years prior. And, according to a recent survey by market research firm Mintel, 52 percent of U.S. consumers seek out non-GMO products. Canada has announced that foods made with "gene editing" will be regulated as "novel" products, just like transgenic GMOs. The European Union is still considering the question. 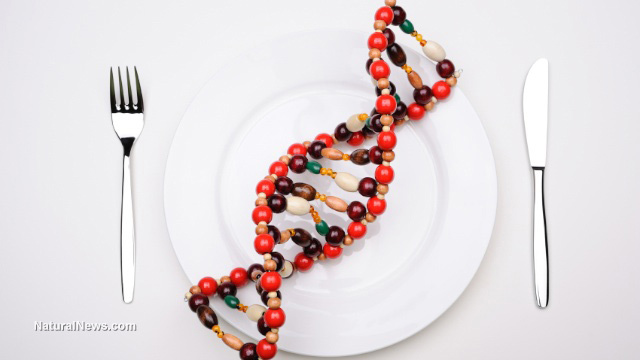 Gene edited foods are already big business. A new herbicide-resistant canola variety engineered with gene editing is already making its way into oil sold to consumers. A soybean variety engineered to produce oil that can withstand higher heat is due to hit the market as early as 2018. Other "edited" GMOs in the works include a low-gluten wheat variety, and a potato that produces lower levels of acrylamide, a chemical linked with cancer (but found mostly in cigarettes and the breakdown products of industrial chemicals, including Roundup). Every major biotech company is investing heavily in gene editing research. These companies are also investing in a propaganda blitz designed to convince regulators and consumers that gene editing is fundamentally different from "genetic engineering" – that it is safer, more precise and more accurate. All of these assertions are myths, says geneticist and virologist Jonathan Latham, executive director of the Bioscience Resource Project and editor of Independent Science News. Doug Gurian-Sherman, director of sustainable agriculture at the Center for Food Safety, agrees. He says that the claims made about gene editing – namely, that it will solve problems such as disease and hunger – mirror the same false promises made about GMOs in the 1990s. "This is largely unproven," he said. "There's a proclivity to believe we can develop new, useful technology that will answer tough problems." If you're worried that gene editing may soon be infiltrating foods marketed as non-GMO, you might want to stock up on clean, organic nonperishable foods. You can buy storable organics from the Natural News Store.